Zach and I both realize that bringing a baby into the world will change our lives forever! We are so blessed to have two amazing friends that we know will not only help us through this experience but will be there beside us as we face parenthood! 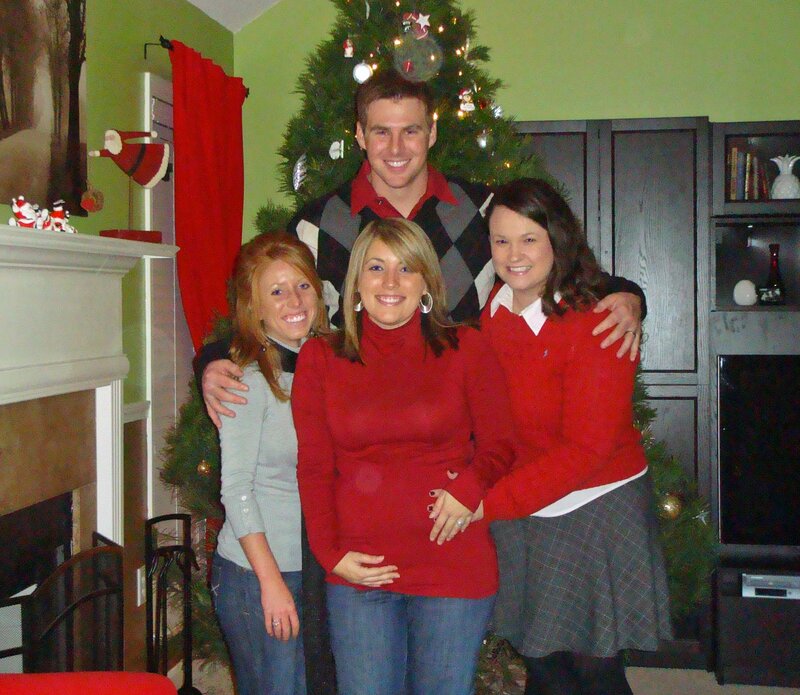 While we know Katie and Ashley are life-long friends, we still want to spend as much quality time as we can with them before the baby gets here! This past week has been so fun because we’ve gotten to see each other so often! After Zach and I got the house decorated for Christmas and the nursery finished (I will post a blog with pics, but I want to wait until after Mom sees it next week in person!) we had Ashley and Katie over for chili and Monopoly. We played the whole game from start to finish…it took 4 hours and of course Zach won! This past weekend was our only weekend in town for the entire month of December and I’m really glad we decided to spend Saturday with them as well! We all went and at lunch at Locos then saw the movie Four Christmases. It was cute and funny enough that Zach liked it too! Then last night we met up at Katie’s for our little mini-Christmas together. It was so awesome because Katie made Ceasar Burgers and twiced baked potatoes! It was one of the best meals I’ve probably ever had my whole life! No joke! We’ll miss Ashley over break since she is going home but we have lots of memories from this week to look back on while she’s away and we all four plan on having a fun New Year’s together! Next Post I missed Stacey!